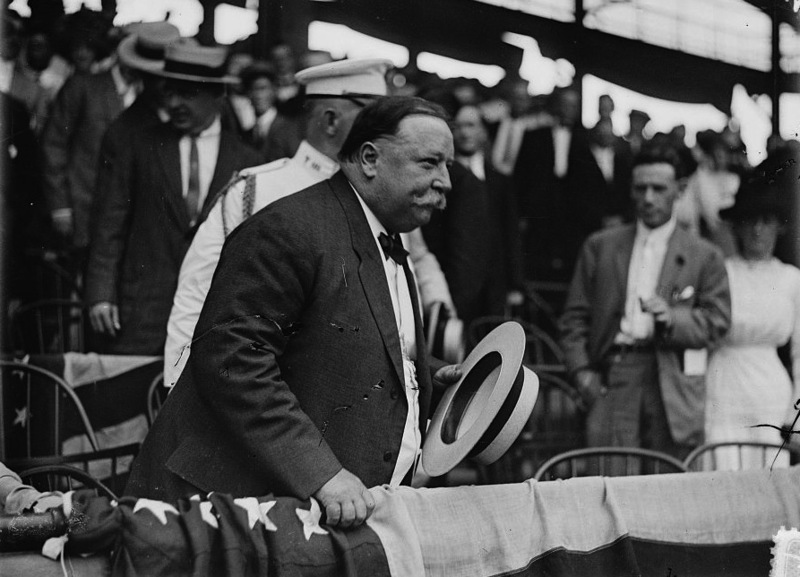 Today I want to revisit a little trivia about President Taft. He was of course the Person-of-Mystery last March 31. 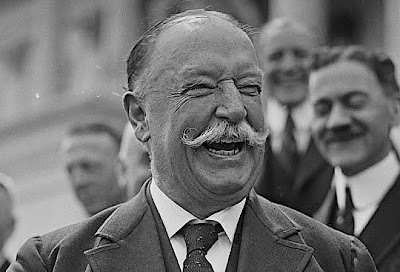 Taft is one of our lesser known presidents, but if people remember him for anything, it's his weight. It is said that he was about 332 pounds when he was in office. 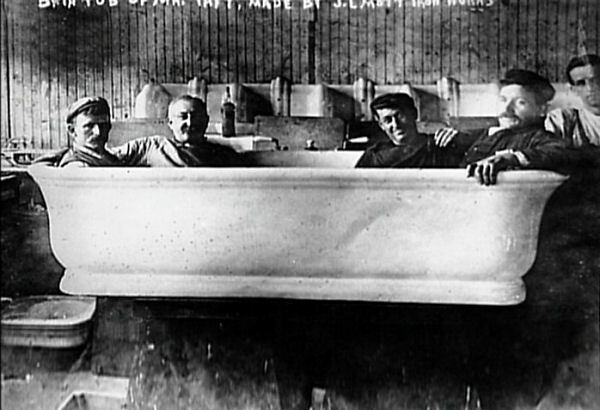 Even his bathing was the source of jokes as it was rumored that he had become stuck in a bath and needed the help of several assistants to be removed. This was not helped by the fact that he had an oversized (about 7 ft by 3 1/2 ft) custom built tub installed at the White House. One newspaper at the time described it as having "pond-like dimensions." 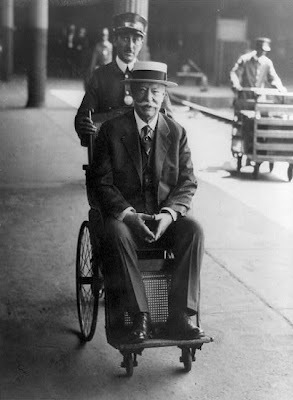 I don't believe that Taft would have won even a single term in the modern age. 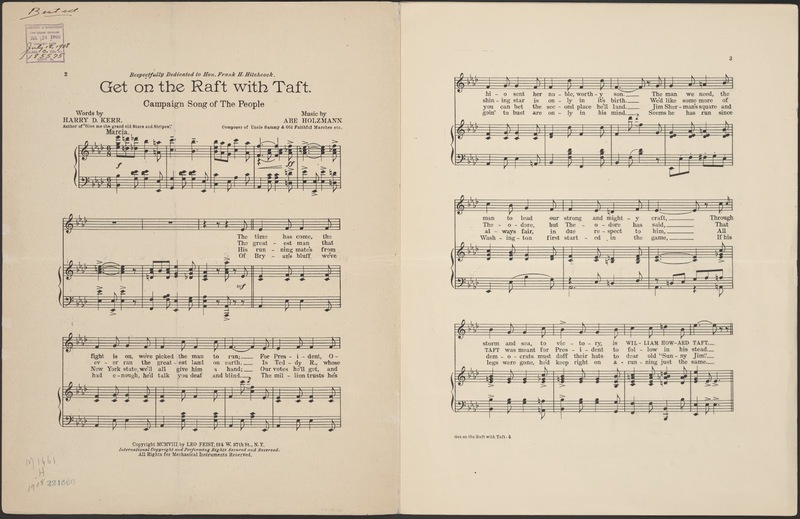 His weight would have become the fodder of comedians who would have had a field day with his campaign slogan, "Get on the Raft with Taft." 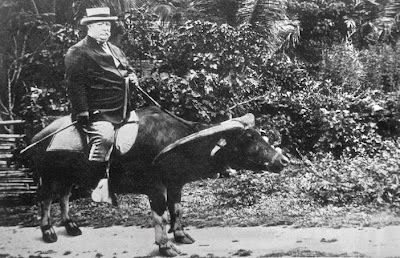 I'm also certain the press would have produced this Dukakis-like photo of Taft on a water buffalo during his time as Governor of the Philippines. Taft it is said to have disliked the presidency. While being groomed for the office, then President Teddy Roosevelt was privately joking late one evening with Secretary and Mrs. Taft. Speaking like a fortune-teller, Roosevelt said, "I see a man standing before me weighing about 350 pounds. There is something hanging over his head. I cannot make out what it is. At one time it looks like the presidency—then again it looks like the chief justiceship." 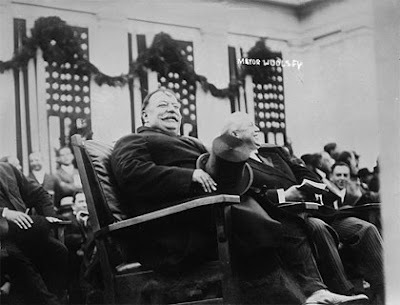 Mrs. Taft blurted out, "Make it the presidency!" 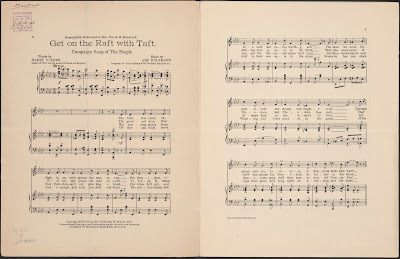 Secretary Taft somewhat less enthusiastically replied, "Make it the chief justice-ship." 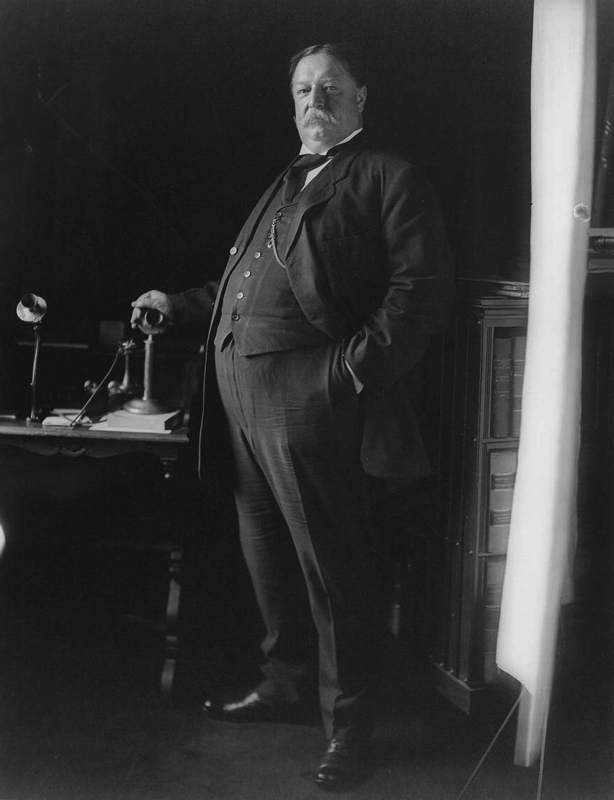 Taft would later win the presidency, but after a single term, he also ignominiously became the only sitting president to finish third in a presidential election behind the other major party and the more successful third-party candidate in the election of 1912. He is remembered for being the first president to throw out the opening pitch at a baseball game and many believe he was responsible for starting the seventh inning stretch. After he left office he lost 150 pounds and was eventually appointed to the Supreme Court and later became Chief Justice, a position he found much more to his liking (thus making him the only person ever to be President and Chief Justice) . All-in-all he seems a like a pretty decent fellow to me, he enjoyed his food, and had a grand sense of humor. Of his laugh, Taft biographer Henry Pringle wrote, "It was by all odds the most infectious chuckle in the history of politics. It started with a silent trembling of Taft's ample stomach. The next sign was a pause in the reading of his speech, and the spread of a slow grin across his face. Then came a kind of gulp which seemed to escape without his being aware that the climax was near. Laughter followed hard on the chuckle itself, and the audience invariable joined in." The last photo is a bit of a shock. Taft was governor-general of the philippine civil government before he became an american president. He was the head of the Taft Commission which enacted and put into law the local gov't code that created the municipalities and provinces of the country. A major Manila thoroughfare, the Taft Avenue, was named after him. 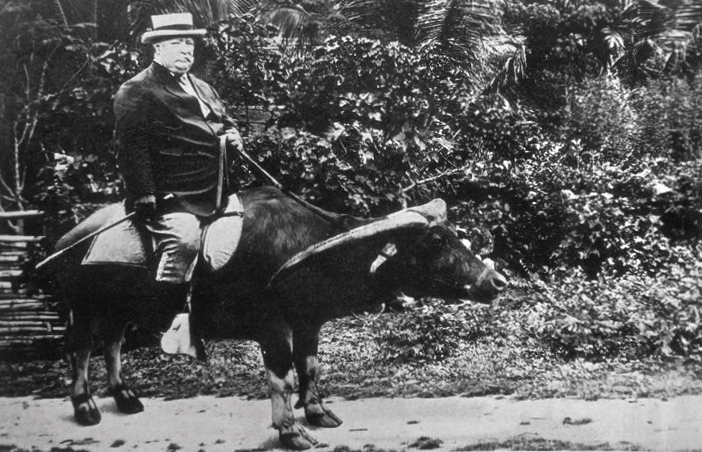 ...the carabao(water buffalo) with pres Taft seems to be in pain. What a fine moustache! They just don't grow 'em like that anymore. Does the Moustache Make the Man?